This article is devoted to those our readers who are on a budget. No misunderstandings, not for misers, not for people who count each dollar they spent, but for people, who knows the real value of earned money and don’t want to waste them in vain. Our article is like a guide that will prove you that ‘best’ not always means ‘expensive’ and give you an opportunity to choose your next best cooler or ice chest at a very tempting and affordable price. Inside each of use the inveterate hunter, fisher, boater lives and this is the main reason why it is so important to choose HIGH quality cooler for all needs. Every day we spend a lot of money on different important things and if beside it we will have to spend additional (rather high) money value on the new cooler, our next trip (or hinting, or fishing, or even several-days camping with the closest friends) will cost us quite expensive. So, let’s stop our protracted preface and start considering our affordable and good coolers. Best Cheap Ice Chest to Stop Your Choice. In this post we are going to tell you about best options available on the world market nowadays that will save your budget from the total ruin. 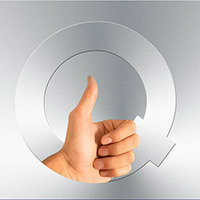 We have tried to pick up all best variants by basing on their effectiveness, quality, design and manufacturer. Here we have prepared a lot of different available sizes and designs of coolers to give you wide choice to select from. Those of us who still don’t believe in such ‘miracle’ as combination of cheap price and high quality, will change their opinion after considering all options listed in our article. So, be ready to familiarize with the best cheap coolers available nowadays. These options will definitely make your next trip unforgettable! TOP Cheap and High Quality Coolers. Only Best Options for You. Welcome TOP 6 Best Affordable Coolers. Our first representative of cheap and qualitative coolers is Igloo Ice Cube Cooler. 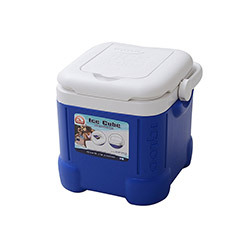 With size of only 10.5” x 10.5” x 10.5” and capacity of 12-quart this small and rather cheap cooler will be a great variant to take to work as a lunch box or to go to few-hours picnic in the park. The quality of this cooler impresses greatly, but don’t forget that even with such features it is not a premium roto-molded cooler that are able to hold an ice for several days. This is one of the best options among coolers in a certain price tag. Let’s take a closer look at it characteristics. This cooler is equipped with special dry storage compartment that is built into the cooler’s lid, has curved wall shape for convenient carrying and durable molded corners on the bottom that significantly increase cooler’s stability and durability. 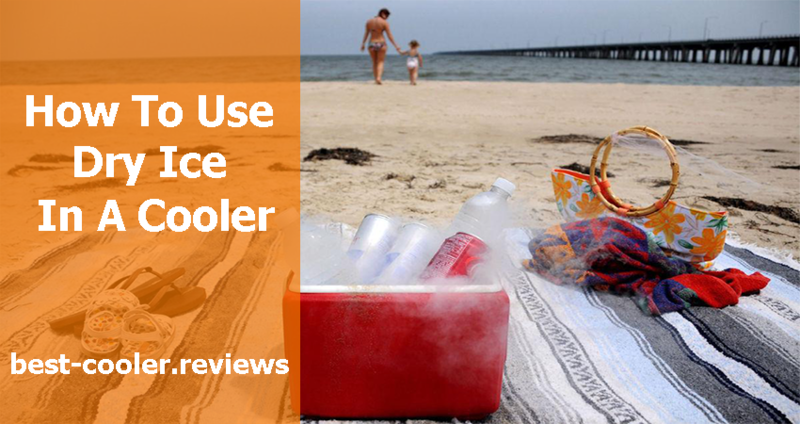 One of the best features of this cooler is its specially developed design that makes you able to put bottles with beverages in upright position. 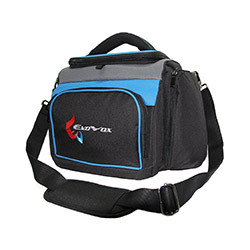 It is very good option to choose if you need a small, portable and convenient cooler for everyday (or frequent) using. You can read customer reviews right here or check its current price on Amazon for more additional information. Our option number two is made by the famous Coleman manufacturer. In this brand name many years of quality, durability and performance are included. 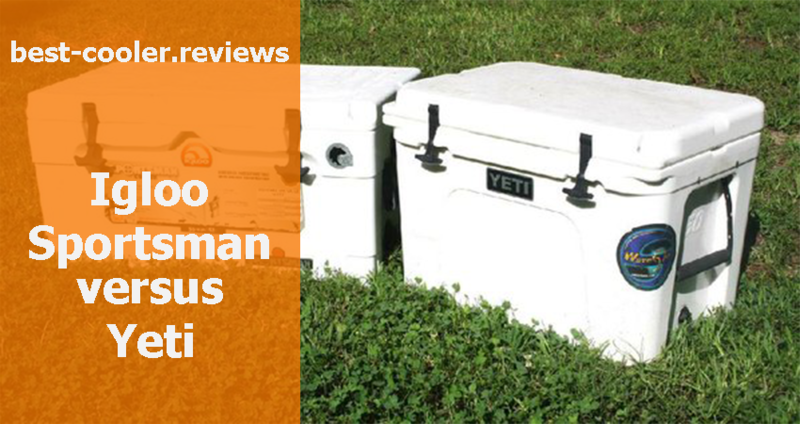 Despite the popular name (and therefore high price as you may think) this Coleman 48-quart cooler has a title of the ‘best affordable cooler’ for many users. Again, pay your attention that it is not a premium-class cooler and don’t expect miracles from it. This cooler will provide you with all necessary simple characteristics that each high-quality cooler have to be equipped with. You will not find in it any additional features or distinctive design, for these features it will be better for you to choose among more expensive variants. 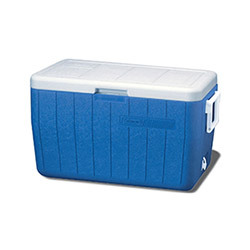 This cooler has the following basic characteristics: it has size of 26” x 14” x 14.5” and capacity of 48-quart. With such dimensions it is a ‘golden middle’ between large cumbersome cooler and a personal/picnic cooler. Perfect middle-size option for frequent and convenient using. One more important innovation that Coleman manufacturers have made is Thermozone insulation that is free of CFC/HFC’s. Number three option in our list is wheeled and large cooler from one more famous manufacturer. This cooler is equipped with all basic necessary features and even more. For the convenient transportation manufacturers of this cooler have add durable wheel that help you to roll it easily on the almost all types of terrains. One more amazing feature of this cooler is its ice retention period. Unexpectedly for such rather low price tag this cooler can hold an ice during five days. With the capacity of 60-quarts, this cooler will provide you with more than enough free space where you can put up to 82 cans or bottles with your favorite drinks. 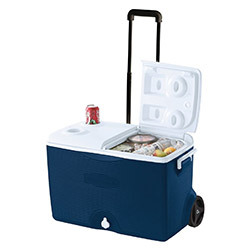 With such large size it will be rather hard for you to carry it on your own, but this cooler has two durable handles, so two people can easily lift it even when it is full. Also you will see one more durable extended handle for convenient towing. Among additional features this cooler has four holders for cups that are built into its lid. Next representative of our list of TOP 6 coolers is this small cooler with removable lining. Thanks to the small size and perfectly designed form this cooler is incredibly convenient in using. 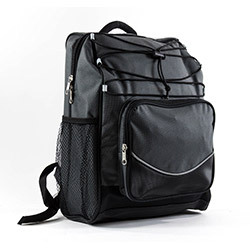 It is equipped with many various outer pockets, zippers, storage compartments and many other small but so necessary features that are so useful in short trip or picnic. This cooler is able to keep an ice during rather long period in comparison with other coolers in this price tag thanks to its 8mm layer of foam insulation. Being made of 600D polyester fabric this cooler will perfectly withstand all negative weather conditions and make you able to clean it without any efforts. With the size of only 11” x 10” x 8” you will be able to easily carry it on your shoulder wherever you go even when it is completely filled. In the mesh side pockets you are able to put several bottles with wine, while other smaller outer pockets give you an opportunity to take a lot of necessary small accessories that will be needed at your picnic. And finally, the most attractive thing of this cooler is its 100% lifetime money back guarantee from manufacturer. The penultimate representative of our list is little and very portable bag/backpack cooler that will perfectly fit for not very long hiking or camping. This cooler is in a very high demand all around the world and is well-reviewed product (on Amazon). Users affirm that together with very convenient form this backpack cooler provides them with enough space to take some food and bottles. With the size of 12.25” x 16.5” x 7.75” you can put up to 20 cans plus ice to this cooler to fill it completely. Cooler is equipped with great number of various zippered storage compartments and two mesh side pockets like the previously described option. Thus, you can put some bottles with cola or wine together with some sandwiches to your next walk or picnic. This cooler has a proud title of ‘Best value cooler’ in this price tag. Excellent variant of convenient backpack coolers at the affordable price and quality characteristics from OA Gears manufacturer. The last option in our list is soft cooler from the from EasyLunchboxes manufacturer. Frankly speaking, it is very cheap cooler bag even in comparison with other affordable cheap options. Most of all in this cooler impresses its combination of price and quality. You definitely can find lots of similar coolers at such price but each of them will be made of the cheapest material and be equipped with the poorest-quality characteristics. 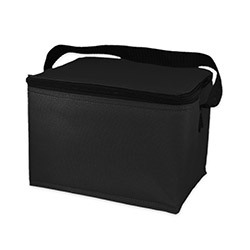 Exterior of this cooler is made of durable 300D no-rip polyester that includes standard PEVA lining. The manufacturers of this cooler also offer cheap containers for food made of plastic, that will perfectly fit to this cooler. Read customer reviews and get it on Amazon right here. As the conclusion our team wants to say that this article and list of TOP 6 best affordable coolers have been created for people who don’t want to spend extra money and just need quality basic features of their new cooler. None extra features and expensive additions to coolers have not been considered here. If you need more features then it will be better for you to choose your cooler among other options, but if all that you need is convenience, durability and quite good ice retention, than you came to address. Each of coolers mentioned in this article worth your attention and is the best combination of price and quality. We hope that you will find an appropriate size and model from the variants listed above and be enjoying it during many years. And the most important moment- none of these coolers will freeze your bank account and leave you penniless.